The hummingbird is one of the smallest birds of the world, measuring only about 4 inches in height. 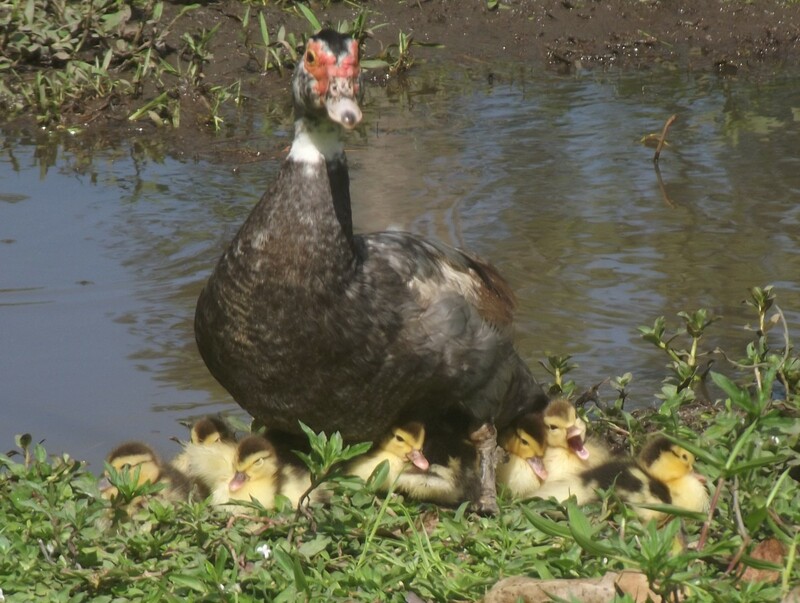 This bird species is found only in North and South America and thrives in a wide variety of environments, including evergreen tropical forests, mountainous forestland, meadows, coastal landscape and even in desert scrubs. Most species of humming birds are identified by their small sizes and their thin long beaks, adapted for nectar sucking. They are largely nectarivores that feed on the sugar-rich nectar produced by numerous species of flowers. 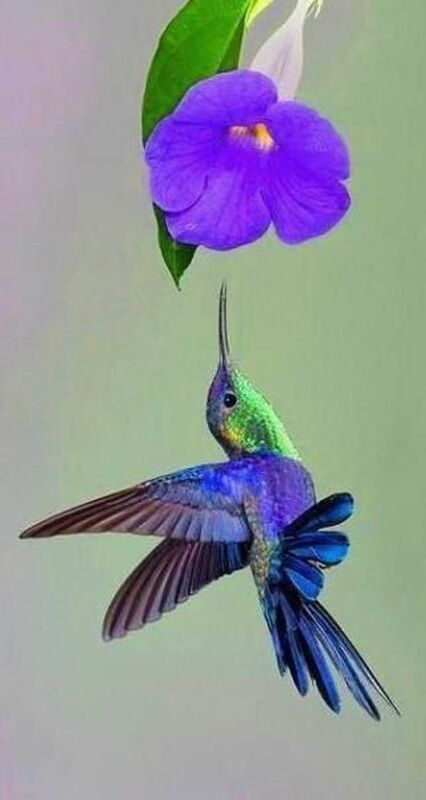 It is from this vitalizing nectar that the humming bird gets its energy needed for hovering for sucking nectar out of flowers. 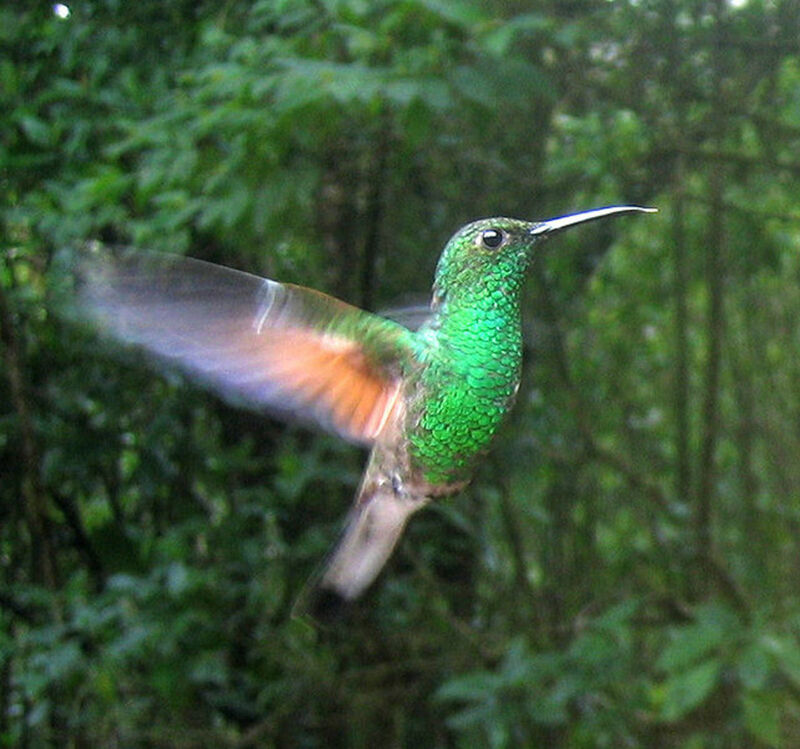 Numerous plants and flora in the tropical forests of America entirely depend on the humming birds for pollination. Humming birds are wonderful colorful creatures that come in a variety of colors from brown and green to vivid reds, purples and violets. There are said to be over 300 types of humming bird species in the world. Some species for example the Allen's Hummingbird and the Rufous Hummingbird are very similar in appearance but you can largely tell the difference by their locations. 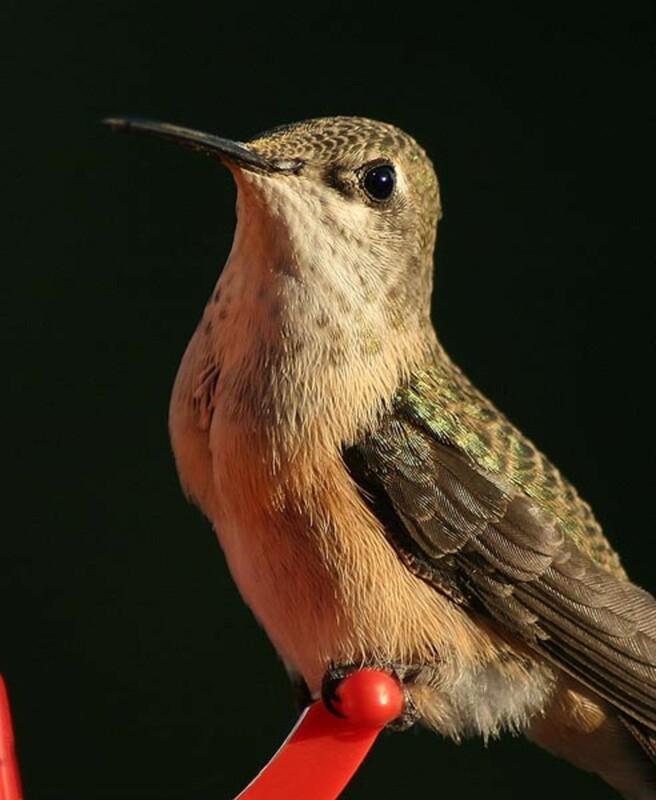 Known to be one of the permanent native species to the US and Canada, the Anna's Hummingbird is characterized by its rosy and reddish crown, green back, pale gray chest and long slender beak. These species of hummingbirds lick nectar with their long tongues and may also consume flying insects. The Anna's Hummingbird is the only said hummingbird to spend winters in cold northern climates. But even still, some birds may migrate to Mexico in winter. 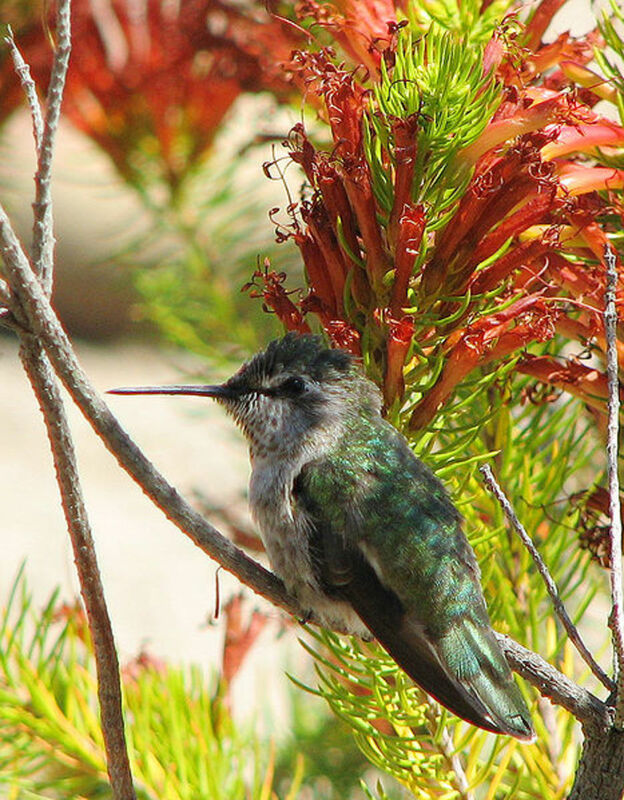 Living year round in the scrub land of Carlifornia, northwestern Mexico and southwestern US, the Costa's Hummingbird don't migrate much but in spring, they are said to be one of the first migrant birds traveling to the cool West Coast. 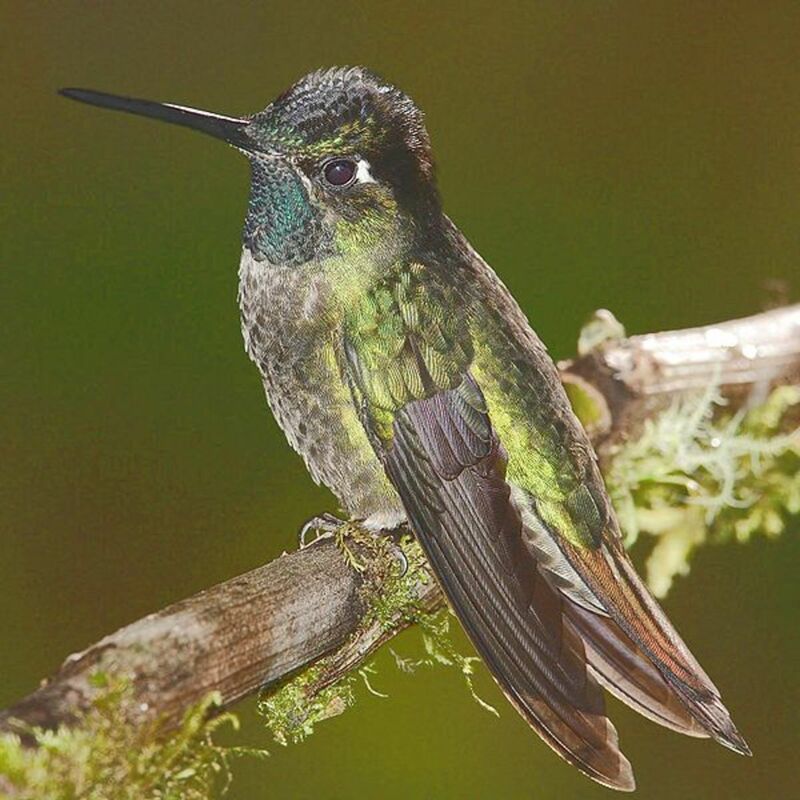 This species of hummingbirds is described as having a bright green to purple plumage with white throat and breast and relatively long throat feathers. Resident to the deserts, they feed on most desert flower species like the desert honey suckle, agave and ocotillo. This species of hummingbirds is found in the Canadian Prairies and is said to be the commonest hummingbird species in the eastern part of North America. In winter, it migrates to Central America, Western Mexico and the Caribbean Islands. 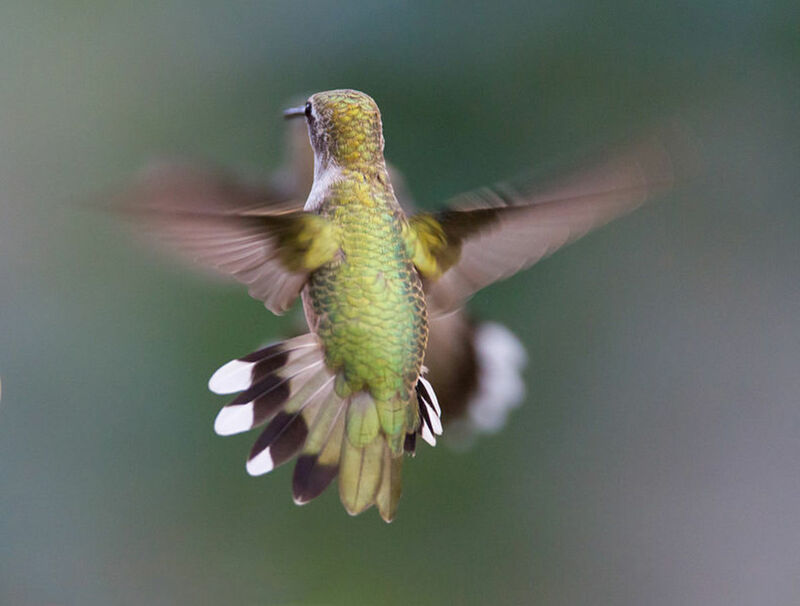 The Ruby-Throated Hummingbird is characterized by their green backs, grayish white neck and throats and the males are named after their ruby throats and necks. 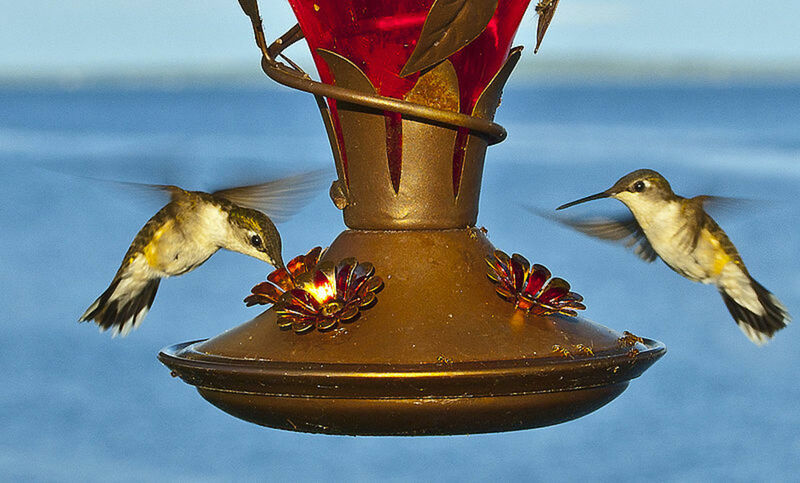 Nectar and small insects and spiders are the preferred food for this species of hummingbirds. 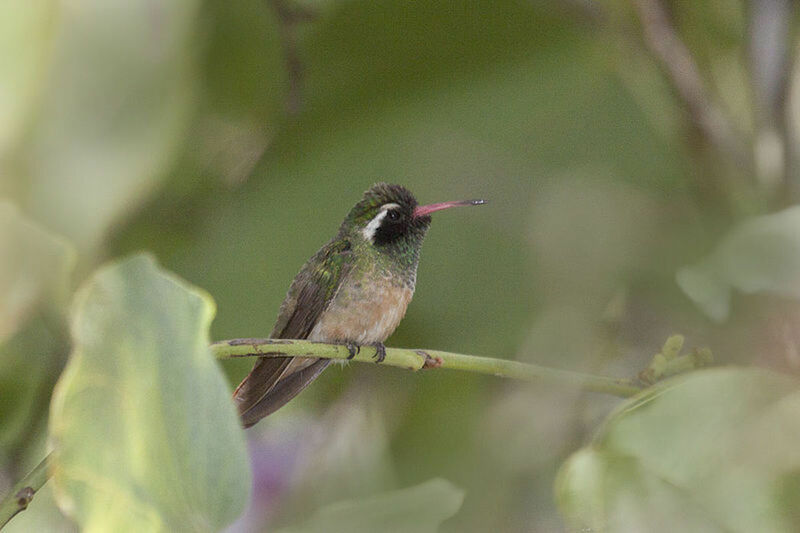 The Buff-Bellied Hummingbird is identified by its metallic green upper body, rusty colored sides and white ring around the eye. It is said to be in small numbers in the US and largely growing in Mexico. 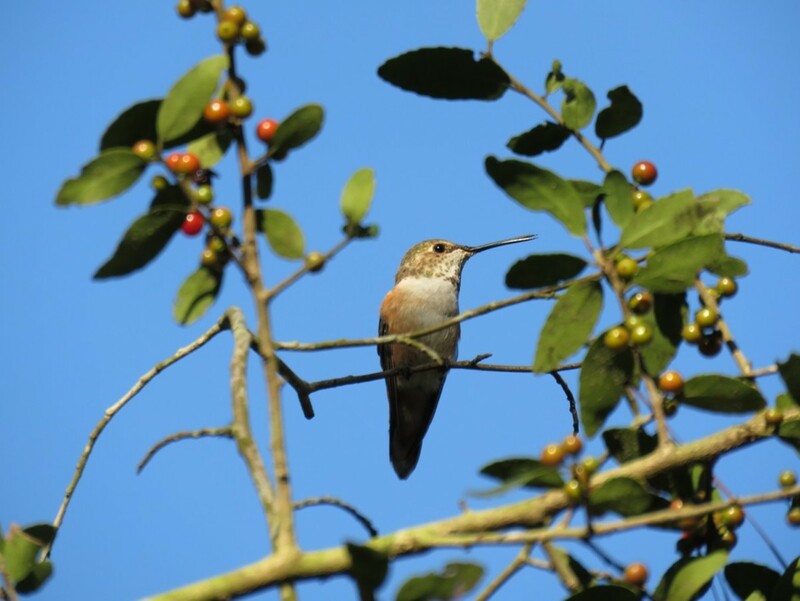 Found in the southern US states including Texas, Alabama and New Mexico, this species of hummingbirds migrates to coastal regions of eastern Mexico in winter. 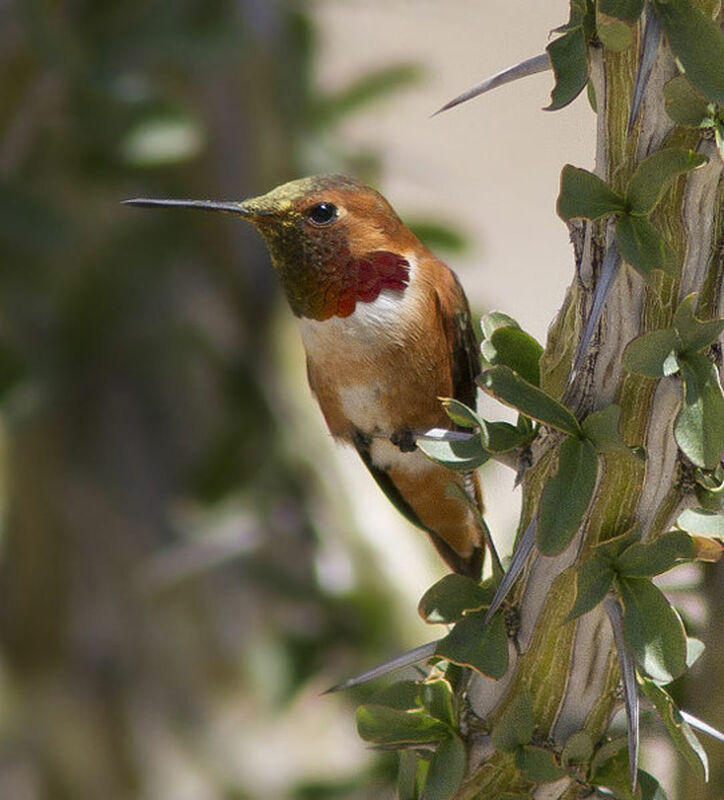 Rare in the US, the Berylline Hummingbird can be found in Arizona, particularly in the Chiricahua Mountains. It is described as having a bright olive green plumage with a gray belly and a little purple on the wings and rump. This species of hummingbirds mainly consumes sweet nectar and small insects. 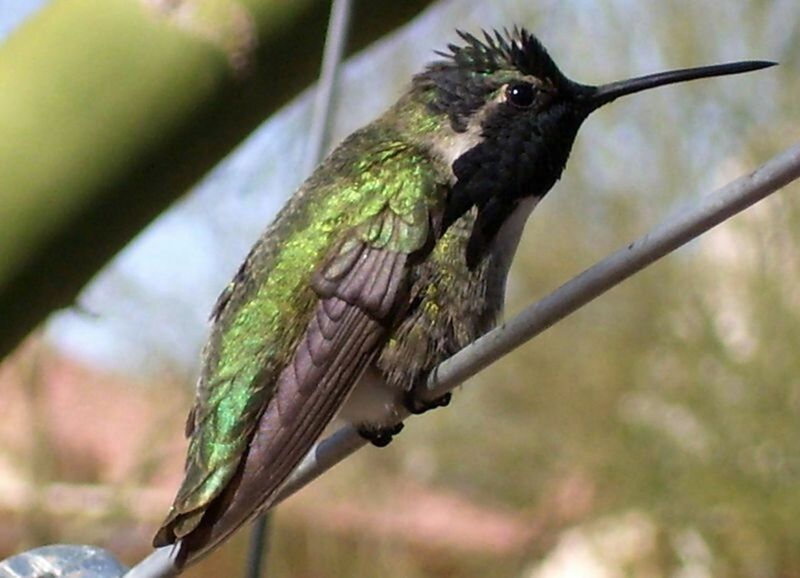 Characterized by its downward facing beak, vivid purple gorget for the male and metallic green crown, the Lucifer Hummingbird thrives in desert areas in southwest Texas and northern Mexico. It feeds on nectar, spiders and other small bugs. Where does it get its name? In 1827, William Swainson, named this species of hummingbirds the Lucifer hummingbird. He might have derived the name Lucifer from Latin, where Lucifer means light-bearing. Named after their glossy black chins and necks, these humming birds thrive in semi-arid areas near water sources in the US and Southern British Columbia. It is said to be the least colored species of hummingbirds in the US. 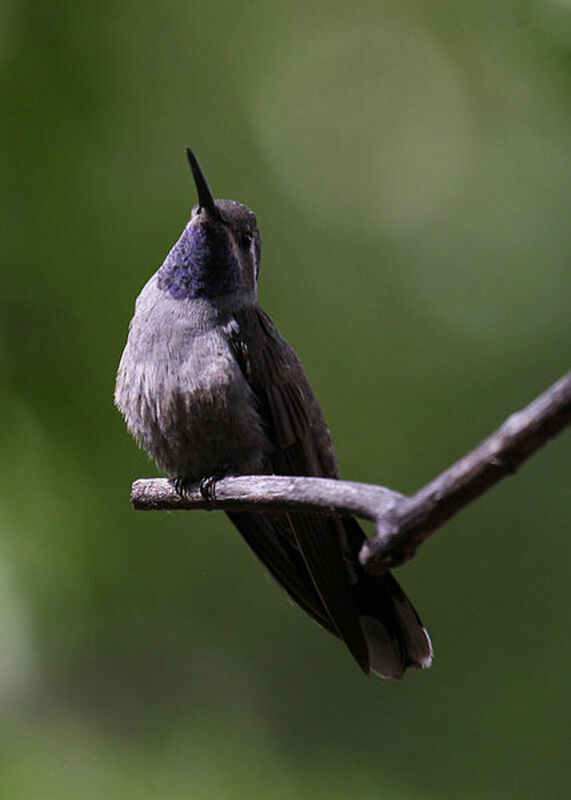 In winter, the Black-chinned Hummingbird migrates to the cool areas of Mexico. 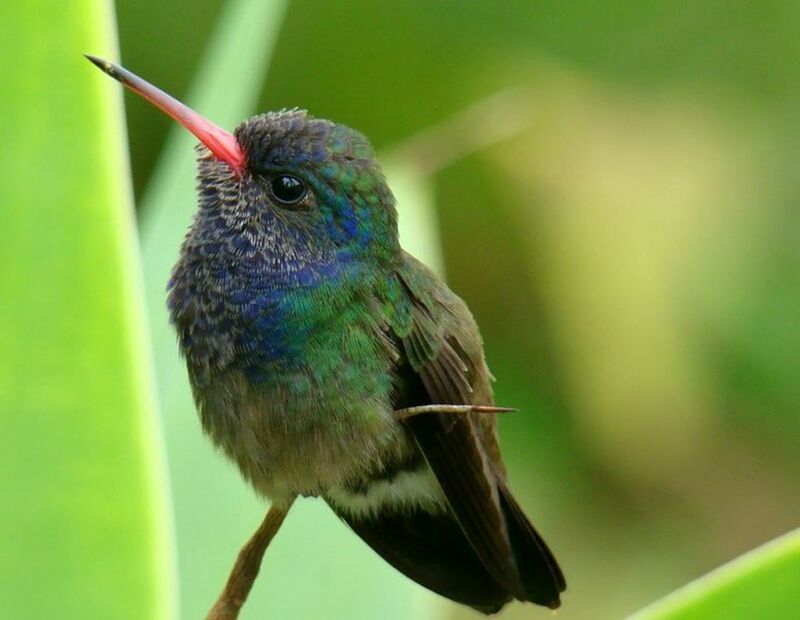 The Magnificent Hummingbird is found in western panama and the southwestern regions of the US. It is generally described as having a bronze-green back with a white spot behind the eye. 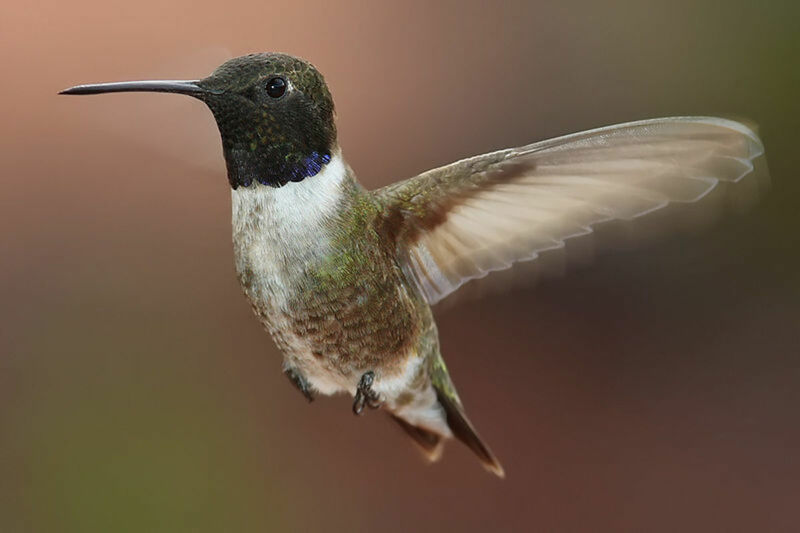 Feeding on nectar and small insects, the magnificent species of hummingbirds are said to aggressively defend their territories from other species of hummingbirds and other small birds. The Broad-billed Hummingbird has its breeding habitat in the scrubland of southeastern Arizona and south western US. It has dark colored wings, metallic green breast, blue throat and slender red beak. The broad-billed species of hummingbirds are insectivores besides feeding on nectar, like most other species of hummingbirds. It may rarely be found outside its breeding ground but in winter, it migrates to southern states including Texas and Louisiana. 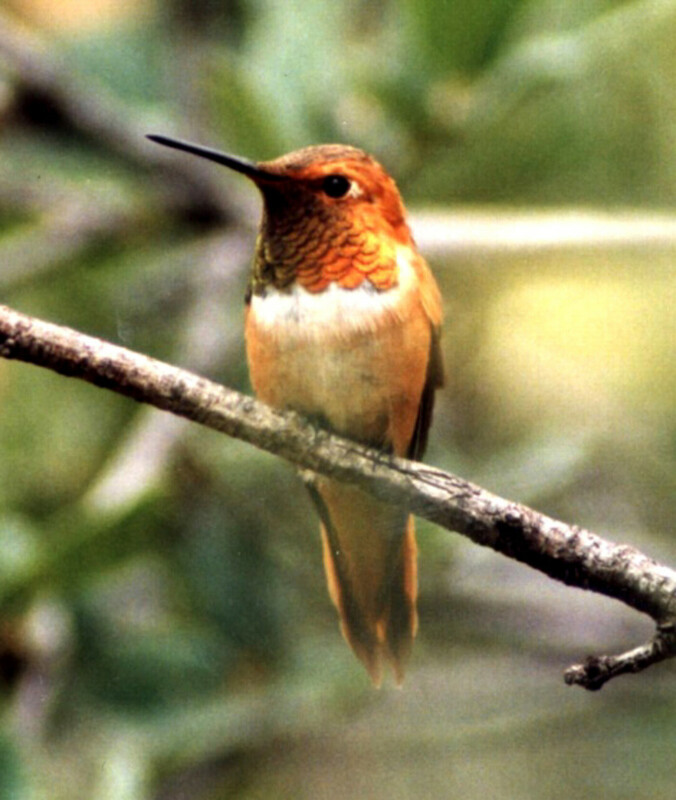 The feisty Rufous Hummingbird is said to be the most distributed hummingbird species in the US. It's found in almost all the states in the US and in many provinces in Canada. 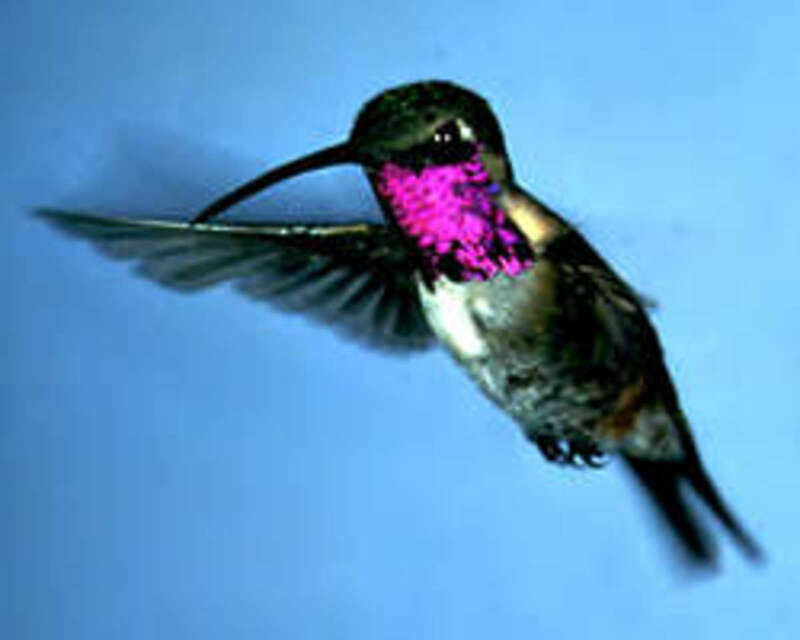 This species of hummingbirds has the longest route of migration than any other of the numerous species of hummingbirds. In winter, it migrates to Mexico, California, Oregon and possibly Panama. It is mostly nectar-sucking though it may catch a few flying insects with its extendable tongue. 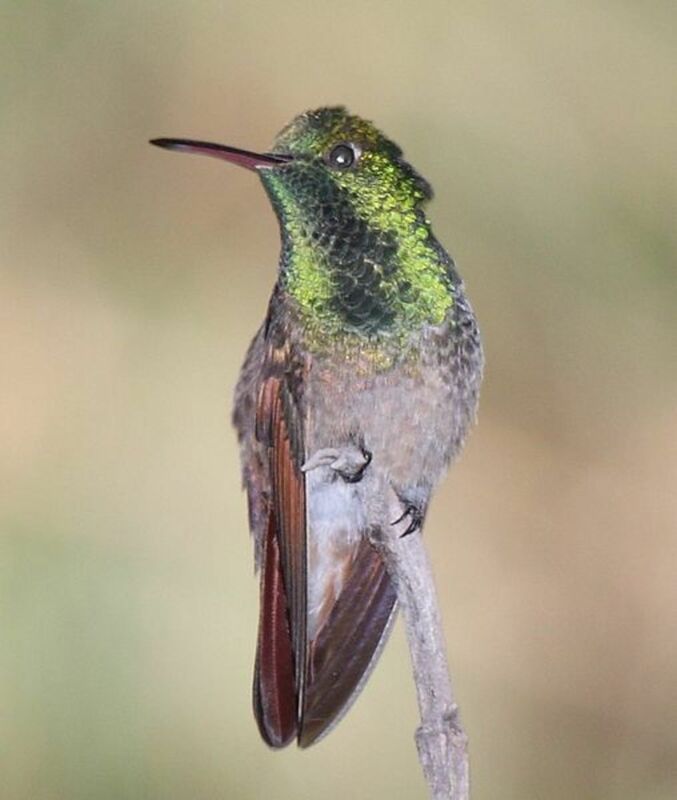 The Allen's hummingbird live year-round in the meadows and woods of Coastal California and is described by its bronze-green back and rust colored rump and tail. Some birds might migrate to regions found between the Baja and coastal California. The Allen's hummingbird is said to resemble the Rufuous Hummingbird but their different locations can be used to tell them apart. 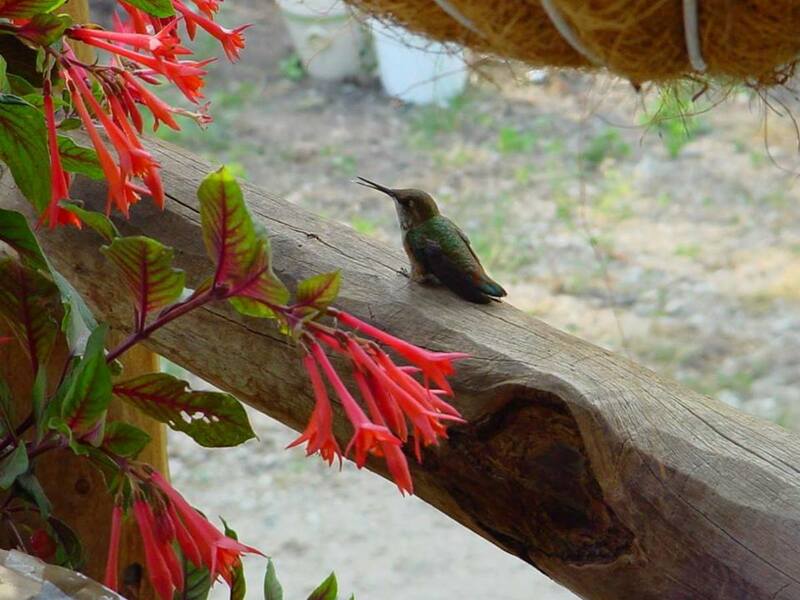 These species of hummingbirds feed on sweet nectar and may also eat small insects crawling around the flower. It is mostly observed in the states of southern US and generally has a blue throat, green crown and back and white outer tips of wings. 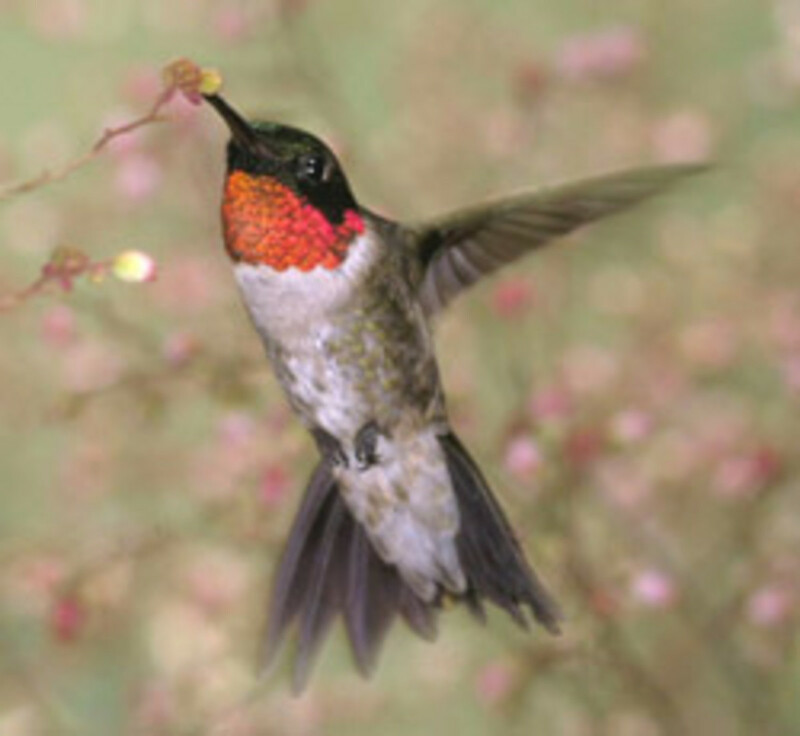 Like most hummingbirds, its diet is focused on nectar as well as small insects. The blue-throated species of hummingbirds migrates to the warmer regions of Mexico to escape the harsh and cold winters. The White-eared hummingbird is a rare species of hummingbirds that can be found in the north eastern pine forests of Arizona and tropical highlands of northern Mexico. Adults can easily be identified by their unique white ear stripes. 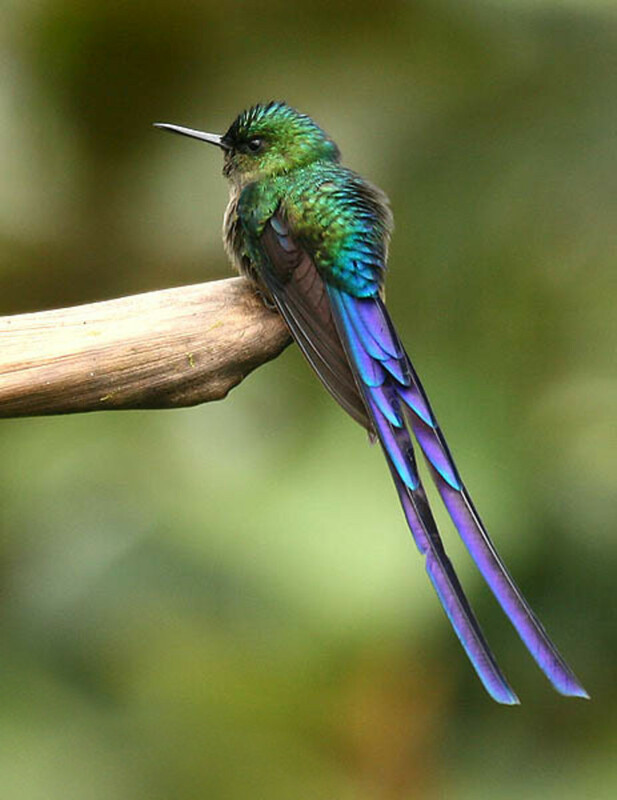 The female is more colorful than the male, which has a brilliant emerald back and breast, sparkling blue-green and a long black tipped red bill. Like most other species of hummingbirds, the white-eared hummingbird feeds on nectar and also traps insects with its long extendable tongue. This species of hummingbirds is known to seldom wander into the eastern regions of the US and southwestern Mexico. The Xantus' Hummingbird, discovered by John Xantus de Vesey, a Hungarian zoologist, whom it was named after, is a Mexican hummingbird mostly found in Baja California. 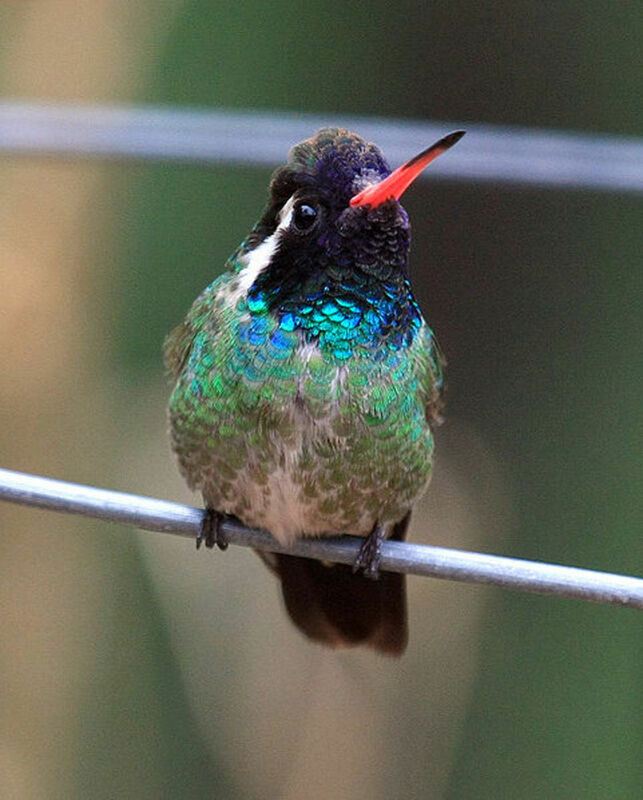 This species of hummingbirds may occasionally stray to other parts of California and one stray bird was said to have been spotted in British Columbia. Both male and female have generally the same body features: green backs and throat, and a prominent white eyestripes with a black one just below and reddish brown color in the lower body section. The major difference between the males and females is that females have got the reddish brown color of the downer body coming up to the throat, while the males have got green replacing the brown, extending up the throat. The males also have black tipped red bills and vivid blue crowns. The different species of hummingbirds are uniquely known for their backward hovering ability. The hummingbird can live for up to 10 years if there are suitable conditions necessary for breeding and growth. The average lifespan of hummingbirds is about 5 years but sadly, most species of hummingbirds die in the first year of their lives. 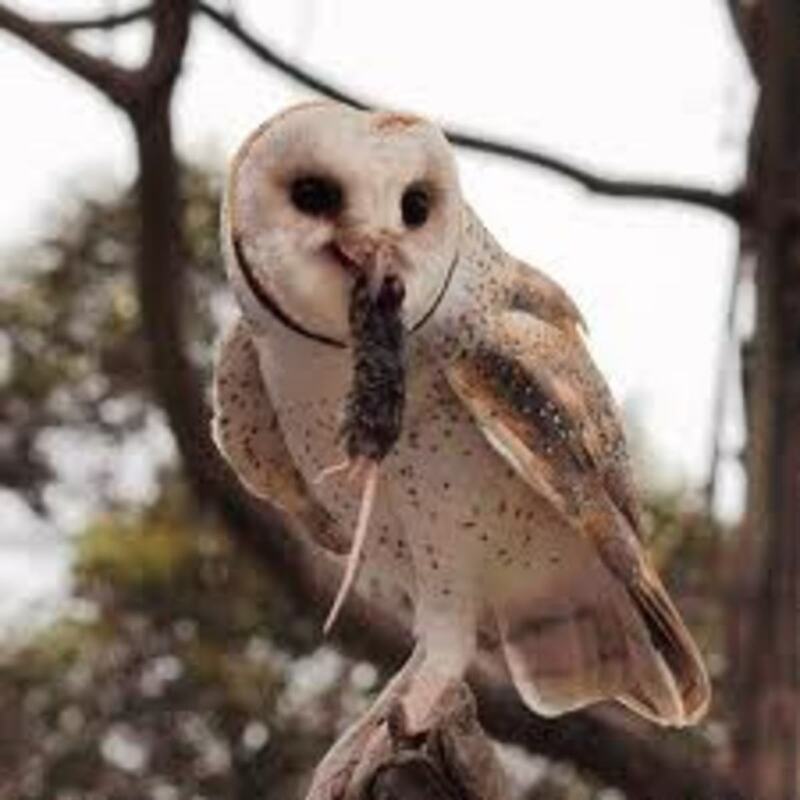 Some of the reasons for their pre-mature death include being attacked and eaten by numerous predators like cats, flying into objects like buildings, encountering problems during migration and possible diseases that may lead to their untimely deaths. Less than 6000 snow leopards survive in the world today, with many held for exhibition in zoos and others confined to protected areas. Spreading awareness of endangered species helps contribute to their survival. I have what looks like black ring neck hummingbirds. I have never had them officially identified but they look quite similar to pictures I have seen of them. The females are just greyish while the males have the black ring around their necks. I have also seen 1 specie that has a dark green head. I put 3 feeders out currently. I started with 1 then I added a second last year and this year I have added a 3rd. The more I have out the more that come to feed on them. It is a joy to watch them. They are so tiny and fragile. I get them from May until September. I am hoping to see more species in the coming years. What else can I add to my yard besides red feeders that will attract them? I am seeing very tiny hummingbirds in north florida. At first I thought they were insects because they are so tiny, maybe an inch or more in length. What kind are they? They are rust colored. Great hub. I didn't know there was so many species of hummingbirds. Voted up for useful! the hummingbird drinking from my feeder,are a light blue colour at the bottom of there stomach,what kind is it?. We have a humming bird coming to our feeder that we have never seen before. It is all black with a white ring around the neck. What is it? I live in northern California, Sonoma county. Earlier this year I had 2 pair nesting in my yard. They had 2 babies each. Watched as they got raised and booted out of the nest..Anna s .last 4wks I have had 2 additional species showing in my yard.tried identifying them with no luck. Can you list the species common to my area & maybe a link to hear their different songs? Appreciate your site &your time. Nice site but I think you may have your photos of the Buff-bellied Hummer and the Berryline hummer mixed up with each other. The photo of the Buff-bellied is not a Buff-bellied. You may want to check these two out and maybe correct these. I live in Mississippi and I'm trying to figure out what kinda of humming bird looks black with yellow stripes down it's back. I had it at my feeder this morning and it was just amazing looking. live in Nebraska. I have had hummers every summer in the last 8 years. this year I have a rust colored male -not sure what kind it is,might be a rufous no green on it at all-definatly a male. these are so cool. Usually we have ruby throat. rehanastormme, it is interesting to know about so many species of Hummingbirds. They are so cute and lovable. Thanks for sharing. Beautiful and Voted up. I have tiny little hummingbirds larger than bumblebee. At least I think it is hummingbird. It is two colored brown and has a little yellow like a straw that draws nectar from my butterfly bush. It's wings go so fast you can't count them. I even saw a baby that was tinier than a bumblebee. Are they hummingbirds? We have Indiana tulip tree in our back yard too. It's the Anna's hummingbirds that we have here around on our feeders :) But would love to see the other species. I enjoyed the photos and the information. Voted up! Now I know that hummingbirds has 15 different species. They are coming back to our place every spring and goes away every winter . The feeder always ready for them when they come back. Thanks for sharing Rehanna Stormme.